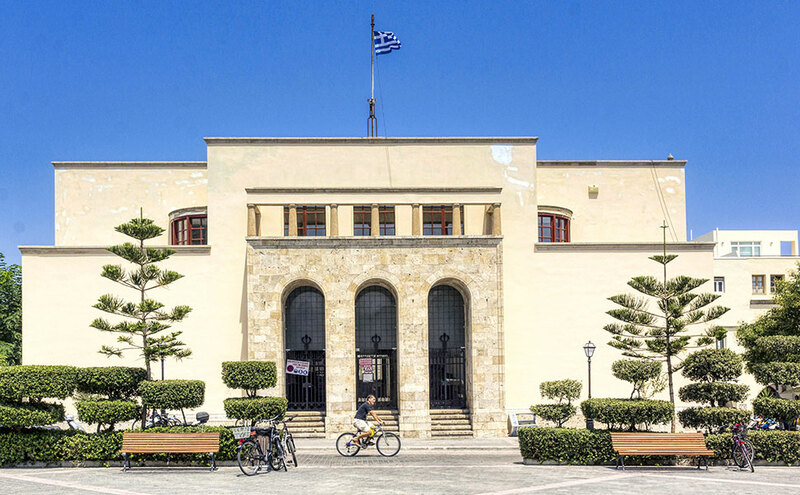 The Archaeological Museum of Kos retains and exhibits the finds brought to light during various excavations around the island dating from the beginning of the last century. The idea for the construction of an archaeological museum, the architectural designs and completion were all carried out during the period of Italian administration of the island when Mario Lago was Governor of the Dodecanese Islands. Work on the project commenced in 1934, with designs in all probability being drawn up by Italian architect Rodolfo Petracco, while the building itself was erected atop a portion of the Hellenistic walls of the ancient city. The two-storey building located in Eleftherias Square was declared a historical landmark in 1986, and it is there that the finds made at the excavation sites within the Agora and the western archaeological site as well as artifacts such as the “altar of Dionysos”, the “Odeon” and the “Roman House” can be seen. The ground floor of the museum –the only floor open to the public as the basement and 1st floor are used to store finds not on display –hosts, among others, an important exhibition of sculpture, with works from the Hellenistic to the post-Roman years as well as impressive mosaics in the eastern wing and atrium. 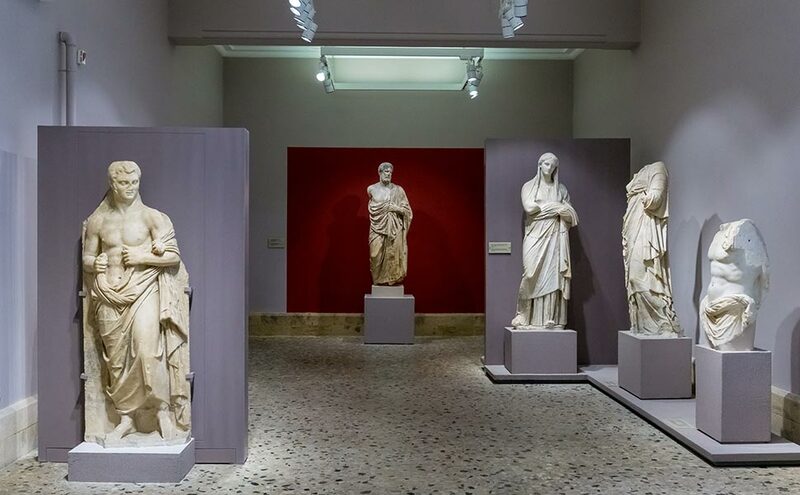 In the museum’s lobby, a special place has been reserved for the exhibition of the 2nd century BC “head of Hera” and a funerary relief with a stunning representation of a lion, while the northwest wing houses the famed 4th century BC statue of Hippocrates. On the walls of the same room, there is a notable relief depiction of a symposium, an exceptional example of late archaic art.